Hikawa Maru was launched on September 30, 1929. In 1930, the ship made its maiden voyage from Kobe to Seattle. The ship continued service to overseas from Japan until August 1941, when regular service to Seattle was ceased. On October of 1941, the ship made its last voyage to the US before the outbreak of the Pacific War as a repatriation ship, bringing US and Canadian nationals to Seattle while repatriating Japanese nationals on its return voyage to Japan. In December 1941, Hikawa Maru was converted into a hospital ship for the Imperial Japanese Navy. After the war, the ship was used to repatriate thousands of Japanese from formerly occupied lands. 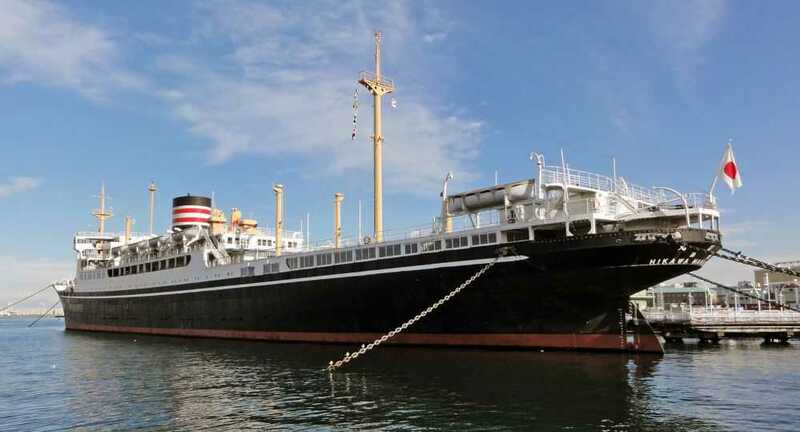 In 1961, Hikawa Maru was moored at Yamashita Park in Yokohama as a youth hostel and museum to commemorate the 100th Anniversary of the opening of Yokohama Port. In 2006, the ship was closed to the public and ownership was transferred to Nippon Yusen. The ship was reopened to the public in 2008, after undergoing restoration. Admission to the NYK Hikawa Maru is 300 yen for an adult and 200 yen for seniors(over 65 years old). A printable discount coupon is available on Nippon Yusen’s official page for Hikawa Maru. Hikawa Maru can be accessed via a 3 minute walk from Motomachi-Chukagai Station on the Minato Mirai Line.